Please visit our Open House at 11310 154A ST in Surrey. This beautiful original owner Morningstar home is located at one of the top locations of Fraser Heights. The Great Room features plenty of oversized windows that allow ample natural light while the 17' ceilings maximize the sense of openness. Sizzling maple kitchen with granite island & lots of counter and cupboard space. New quartz counter tops and undermount sinks throughout. Casual dining area with oak plank flooring, crown moldings & 8' patio overlooking a sunfilled backyard. Vaulted Master with 5pcs ensuite & big walk-in closet plus 2 Bedrooms, 4pcs bath & open den/sitting area. Finished Basement includes a Games Room, 2 Bedrooms, 4pcs Bathroom & Den. New hot water tank and garage door opener. Open house: 2-4 pm Sun May 27. I have listed a new property at 11310 154A ST in Surrey. This beautiful original owner Morningstar home is located at one of the top locations of Fraser Heights. The Great Room features plenty of oversized windows that allow ample natural light while the 17' ceilings maximize the sense of openness. Sizzling maple kitchen with granite island & lots of counter and cupboard space. New quartz counter tops and undermount sinks throughout. Casual dining area with oak plank flooring, crown moldings & 8' patio overlooking a sunfilled backyard. Vaulted Master with 5pcs ensuite & big walk-in closet plus 2 Bedrooms, 4pcs bath & open den/sitting area. Finished Basement includes a Games Room, 2 Bedrooms, 4pcs Bathroom & Den. Hot water tank and garage door opener are only 1 year. Open house: 2-4 pm Sun May 27. Beautiful family home by Morningstar in Fraser Heights with outstanding Mountain & Park Views! Eye-catching Great Room features plenty of oversized windows that allow ample natural light while the 17' ceilings maximize the sense of openness. Sizzling maple kitchen with granite island & lots of counter cupboard/space. New quartz counter tops and undermount sinks throughout. Casual dining area w/oak plank flooring, crown moldings & 8' patio overlooking a sunfilled backyard. Vaulted Master w/ 5pcs ensuite & big walk-in closet plus 2 bdrms, 4pcs bath & open den/sitting area. Finished bsmt includes a games room, 2 bdrms, 4pcs bath & den. 6 month new Garage door opener. 1 year new hot water tank. Open house Sat, March 10, 2-4 pm. I have listed a new property at 6 1705 PARKWAY BLVD in Coquitlam. An excellent opportunity to own a beautiful detached home in Tango complex built by Liberty Homes in the desirable Westwood Plateau. This unique home boasts 3,265 sqft, 2 story with fully finished basement. Perfect place for big family - 4 bdrms up & 2 bdrms plus den down with recreation room. Kitchen with Stainless steel appliances, dining, living & den (family room), powder room on the main floor. Steps away to transit, walking/biking trails & Westwood Golf Club. Like gardening but tired of cutting the grass, strata provides gardening, snow removal, roof/ext. wall cleaning, building insurance. I have listed a new property at 2220 METHERAL CRT in Richmond. Spacious 5 bedroom home with 4 bedrooms upstairs with ensuites. Bathroom and one bedroom with ensuite on the main floor. Located in cul-de-sac steps to Tait Elementary School. House comes with high ceilings in foyer & living room, granite counter top and stainless steel appliances. Radiant floor heating on main and hot water baseboard upstairs. Don't miss it! I have listed a new property at 990 CANYON BLVD in North Vancouver. 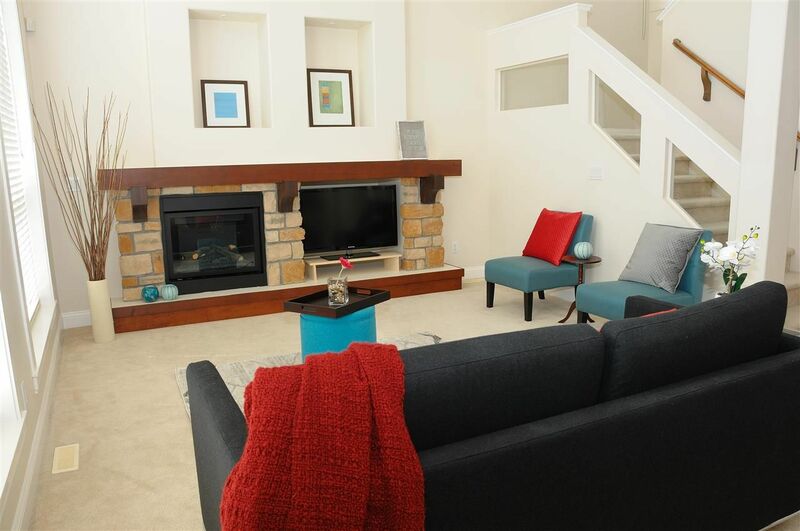 Well-maintained Canyon Heights family home. Featuring a bright living room area with a sliding door that opens up to a 25'4 by 10' sundeck. Three bedrooms with a four-piece bathroom. In-law suite on the main floor with two bedrooms, an eating area, living room with a glass door that leads to a tranquil backyard. The home has a newer roof and hot water tank. Terrific family location, just a short walk to Montroyal Elementary and Handsworth Secondary, and just a short drive to Edgemont Village, Grouse Mountain, and Capilano Suspension Bridge. I have listed a new property at 8 8200 BLUNDELL RD in Richmond. Don't miss this one. 3 years old townhouse but looks like new. This is a 2 level townhouse with side by side double garages. Spacious 3 bedrooms with 2.5 baths. Close to Richmond center, Minoru and Garden City. 2-5-10 New Home Warranty.